Do you suffer from dry flaking lips? Winter has to be the worst time. Central heating, cold winds and of course a dreaded cold can make our lips look and feel worse for wear! I’m going to share some tips with you today that will help. It’s not a post just about dry lips, though. If like me you’re in your mid years there are a few points to consider…. A hairy top lip is not a good look! Once those menopausal hormones kick in we are prone to getting hairs dark and wiry springing out of nowhere! Getting rid of those one off hairs will be so much easier now with a decent pair of tweezers. Tweezerman are excellent and are offered in a wide variety of shapes. Personally for me slanted is best. The better the tweezer the easier it is! Avon also does good tweezers. 3) Once every three weeks book yourself into a beauty salon to get threaded or waxed. Or if you’re brave enough wax yourself at home! There are loads of waxing strips that you can buy in stores nowadays. Personally, I don’t like threading. But all avenues of facial hair removal should be exploited to see which is best for you. Before you take to waxing yourself, watch a You Tube tutorial. Treating your lips to keep them from peeling and being dry will not only nourish the lips but will help keep those feather lip lines at bay too. There are of course wrinkle fillers. I have never tried any fillers due to my allergies. I most probably would if I could. Restylane is very popular that I do know. I always scrub my lips in the morning with my toothbrush! Loosening any dry skin and getting some stimulation to the blood supply. I have used Elizabeth Arden Eight Hour Cream for so many years, I can’t recommend it enough. I have never suffered from dry lips since using this once in the morning and just before bed. 5) Anti wrinkle creams are not just for your eye’s Dab some on your top lip too! Our lips thin a little when we get older and the dreaded feathering of lipstick with those fine lines can be a problem. Don’t use lipstick that’s to filled with moisture. This will bleed into those fine lines and amplify them! Use a matt lipstick on the outer part of the lips and something softer over the middle. I always shape and fill with lip liner and brush a stroke of lipstick in the middle to make it look softer. Estee Lauder Double wear lip pencils are brilliant. 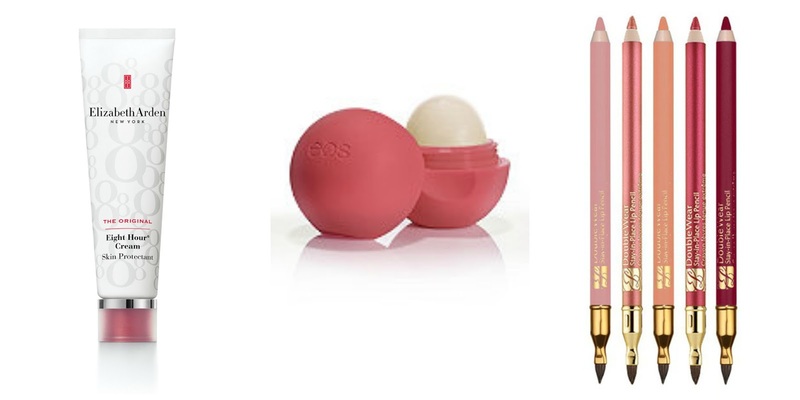 I use the rollerball balm over the top and the pencil will still stay in place! If you enjoyed this post why not subscribe to recieve new post to your inbox. Just click on the box to the right hand side. This post contains affiliate links. This just means I might earn some pennies that help support this blog. Congrats on yours getting most clicked! Thank you for sharing with us at #OverTheMoon! Hi there- I wondered, have you done a follow up post on your derma roller? I would love to hear how you like it and if you have seen results. Thanks! I bought a magnifying mirror from TKMaxx – I scare myself sometimes! My daughter loves playing with it though. I love Elizabeth Arden Eight Hour lip salve and my husband swears by Burt's Bees Wax. I was surprised as first to read your first suggestion but truth be told, you are right on the mark with this. I have a lighted magnifying mirror that I take with me on vacation if we are traveling by car (much to my husband's chagrin). For actual removal, I've gone the route of laser treatments after years of waxing and I couldn't be happier. A little bit pricey but so worth it for the long lasting results. Thank you for this fabulous post and for sharing on my Fine-Whatever link up. Oh yes! My whole skin is dry because it's winter. Great topic! Funny that you're talking about lips Laurie!! I was just asking my esthetician friend about mine!! Interresting post Laurie! Thank you. I am EOS obsessed. I use it constantly! My skin is so dry in the winter I can definitely use these tips! I need to try those lip pencils! Some great tips here! One product I would add to your list is Nuxe Reve de Miel lip balm. It is more like a treatment than a lip balm and the little pot lasts for ages. Really sorts out dry lips well.